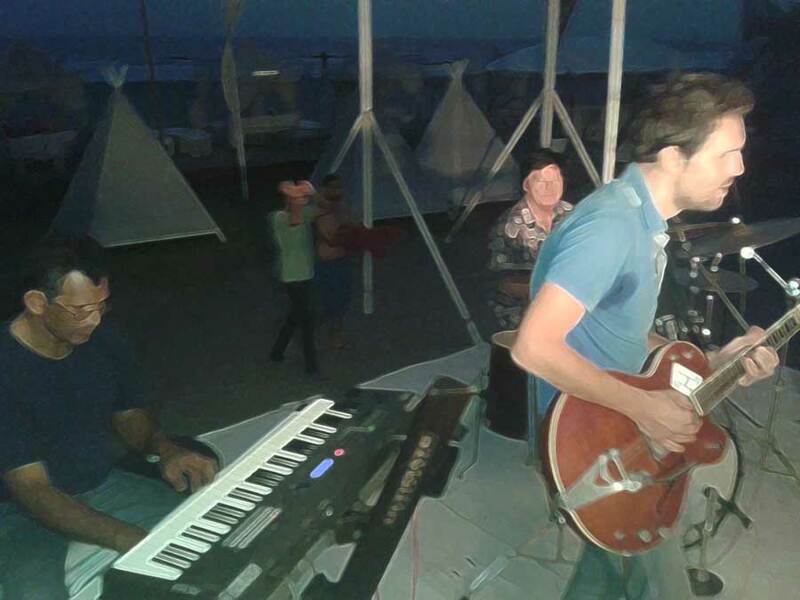 Jam Sessions in Goa – Goa Live Music Coop. It’s hardly possible to find real jazz jam session but some jazz staff is played when at least four persons start to use jazz language. For example, saxophone, keyboard, drums and double bass. Very famous evergreen jazz classic songs is generally used for head tunes and improvisation. 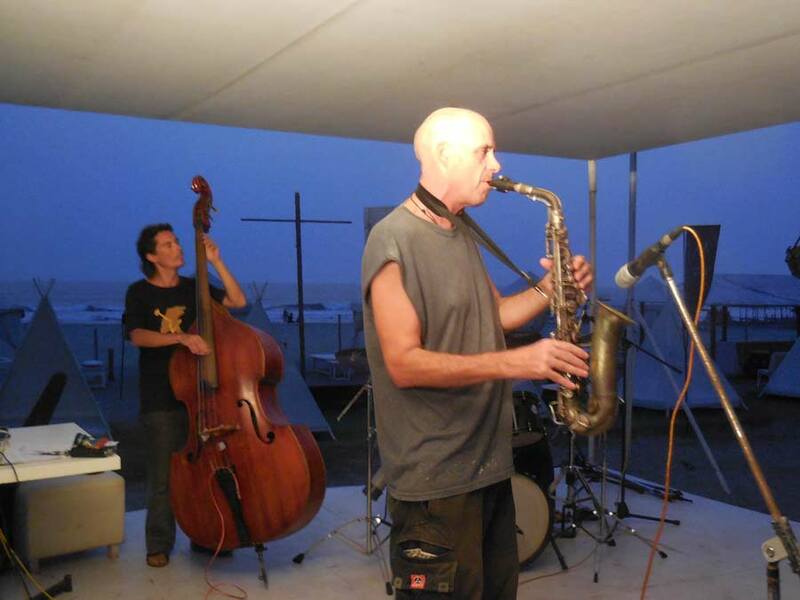 In 2014/15 season it was possible to enjoy jam sessions in Marbela beach resort, Ashwem, North Goa. The stage was open for blues, jazz, funk and rock musicians twice a week. 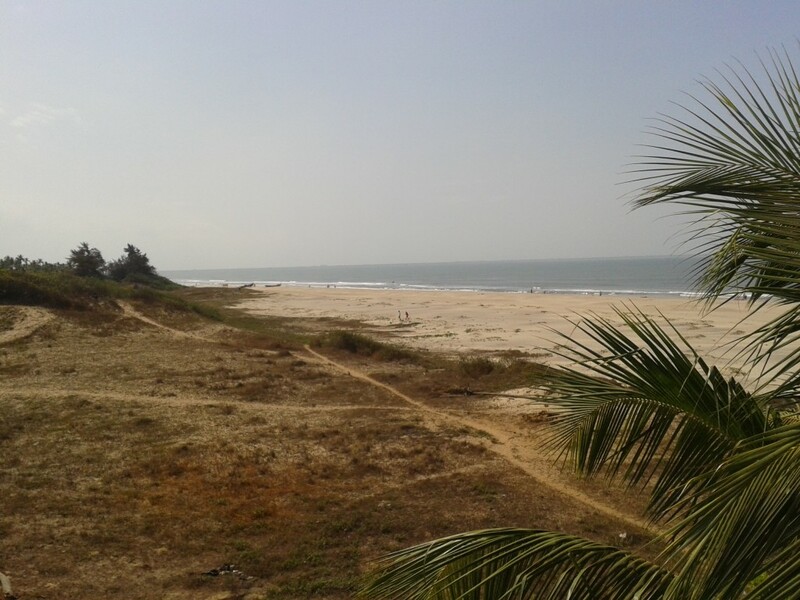 Those who play drums or percussion instriments should go to Arambol beach at sunset. It’s a place where jamming drummers gather for playing an hour.